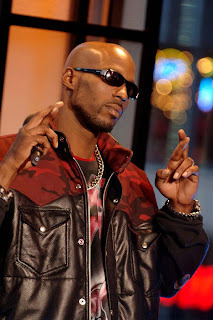 JR, The Black Entertainment Guide: DMX will not do "Celebrity Rehab"
DMX will not do "Celebrity Rehab"
For the past year, there have been rumors of DMX joining the cast of the VH1 hit, "Celebrity Rehab with Dr. Drew." DMX has had an addiction to drugs for almost twenty years. At times, he has been in control of his addiction. But, since his music career has fallen off, he has relied heavily on drugs to keep himself going. His drug use has gotten in the way of his comeback. DMX's constant drug use has led to him committing various crimes and he has spent time in jail. In 2008, X picked up some sort of charge at least once a week. He was kept out of jail because he agreed to leave his addiction to crack/cocaine. However, he violated his probation when he was found with the drug on him. As a result, he was sentenced to prison in Arizona. After vehemently dening his participation on "Celebrity Rehab with Dr. Drew," DMX announced he would take part in the program. He actually seemed excited to be on the show. Due to his prison sentence, he will be unable to be a part of the show. There is no chance of him being released to do the show. The season will go along without DMX. Because DMX is in prison because of drugs, he feels he should be released from prison to participate in the show. The program could help him finally kick this addiction and move on with his life.